The killers have been caught (and killed). Emily Fisher’s job is over. Oh, there’s the little problem that her servant Tanya thinks she’s subconsciously a demon worshiper. And her half-sister Stacia has regressed to childhood, most of the time, something Emily has promised to fix. And there’s one more big problem Emily has been doing her best to ignore. Find out what it is in “The needs of others,” chapter 39 of Prophecies and Penalties, my weekly serial about a murder on a Vermont religious commune. If you’ve not been reading it before, you can start at the beginning. 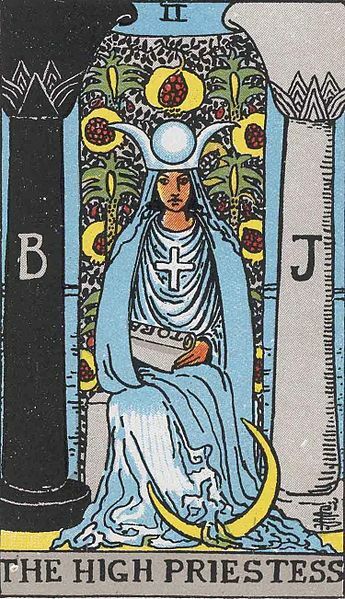 nice little caption to the tarot card . . . as a hook, effective!